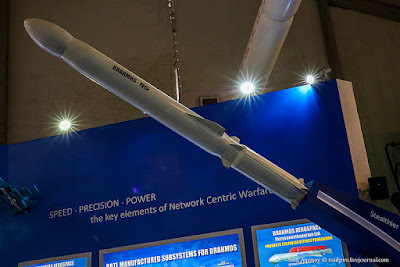 Chinese arms manufacturers may find it even more challenging to make sales following the reported failure of Chinese-made C-705 anti-ship missiles to hit their targets during an Indonesian exercise in September that was watched by Indonesian President Joko Widodo. 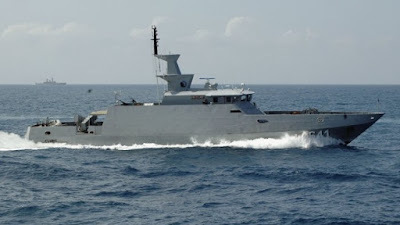 IHS Jane’s reported that two C-705 missiles failed to hit their targets after being fired from two of the Indonesian navy’s KCR-40-class missile attack craft during the large-scale Armada Jaya 2016 exercise in the Java Sea on September 14. Indonesia had acquired a licence that would allow state-owned aircraft maker PT Dirgantara Indonesia to produce C-705 missiles locally by 2017 or 2018, according to an earlier report in The Jakarta Post. 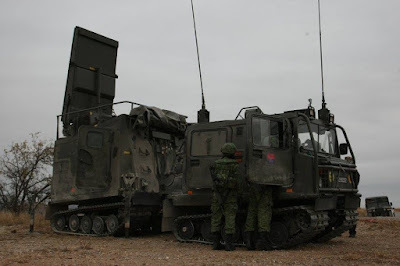 It is not clear whether the licence contract will be affected by the failed launch, but Chinese military experts said the poor performance of the C-705, a high-subsonic missile guided by the US Global Positioning System (GPS) or Russian Global Navigation Satellite System (GLONASS), might have an adverse short-term impact on international sales of Chinese-made weapons. 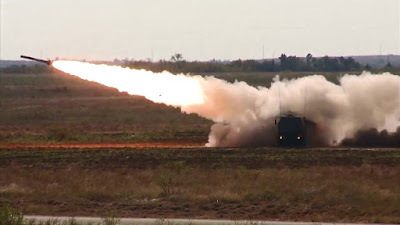 “It’s impossible to make sure all missiles can hit any targets accurately,” said military observer Zhou Chenming, who previously worked for a subsidiary of China Aerospace Science and Technology Corporation, the main state-owned contractor for the country’s space programme, and is now a researcher at the Knowfar Institute for Strategic and Defence Studies, a non-government think tank in Jiangyin, Jiangsu province. “Normally, a manufacturer would note a general kill probability at 90 to 95 per cent during range tests. Zhou said the capabilities of the C-705 missile and the shorter-range C-701 and C-704 models had been proven in recent attacks by Iranian-backed Houthi rebels in Yemen on United Arab Emirates vessels that were part of a Saudi Arabian-backed coalition supporting the Yemeni government. Beijing-based naval expert Li Jie said local weather, and whether the Indonesian missiles operators had followed all the necessary procedures, would also affect the launch result. “Weapons are made with various metals and other sensitive materials, so local weather like temperature, humidity, salinity may cause problems,” Li said, adding that the climate in China was very different from that in Indonesia. SHAH ALAM: Training Ships delayed again. The never ending saga of the two RMN training ships, PCU Gagah Samudera and Teguh Samudera, continues. 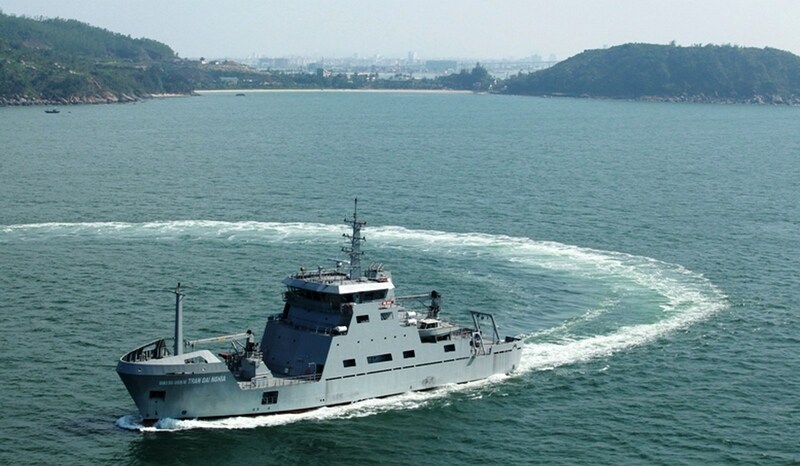 Malaysian Defence had reported before that Gagah is expected to be commissioned soon and the navy even fixed the date for it, Nov. 14. Two weeks before that however, Malaysian Defence have to report that Gagah commissioning has been postponed. 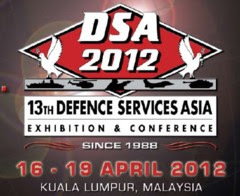 Malaysian Defence was not told the reason for the delay but it appears that it will take a while as no one will even dare estimate the new commissioning date. 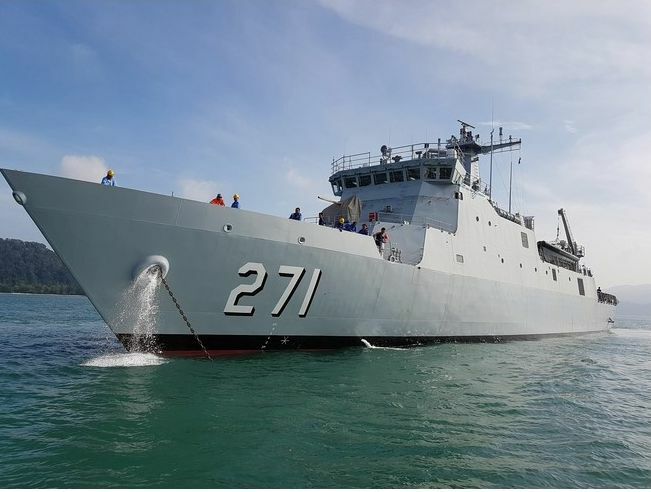 Several months ago Malaysian Defence was told that Boustead Naval Shipyard had decided not to bid for the job to complete the two training ships following surveys on both the ships. The surveys, Malaysian Defence was told concluded that both ships were not in a good shape and it will take more money and time to complete them. In short, the funds allocated for the completion was too low and the deadline was too tight for them to make any profit from the project. Initially I thought this was just idle talk from officials who lost a tender but it appears that the continuing travails over the two ships seemed to justify the BNS decision not to bid for the project. For the record, Grade One Marine Shipyard Sdn Bhd in Lumut, was awarded the deal to complete the two ships. Senior Minister of State for Defence Mr Ong Ye Kung witnessed an air-land integrated live firing exercise yesterday at Fort Sill, Oklahoma, USA. The Singapore Armed Forces (SAF) is conducting the exercise, code-named Daring Warrior (XDW), from 10 to 31 October 2016. 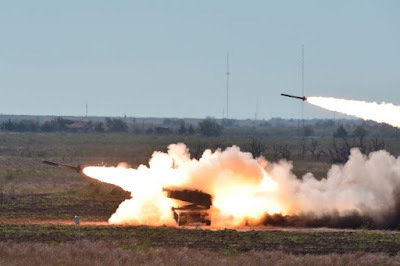 The exercise involved around 340 personnel from the SAF, and assets such as the High Mobility Artillery Rocket System (HIMARS) and the Artillery Hunting Radar (ARTHUR) from the Singapore Army, as well as the Apache AH-64D attack helicopters from the Republic of Singapore Air Force's Peace Vanguard detachment. A highlight of XDW16 was the conduct of a bilateral air-land integrated live firing exercise with the US Army's HIMARS, which involved about 140 troops from the US Army's 75th Field Artillery Brigade and the National Guard. After witnessing the live firing, Mr Ong noted that training in the US provided important opportunities for the SAF to hone its capabilities and strengthen its operational readiness. He said, "It (Fort Sill) is a very good facility and it allows us to have this kind of very effective and very realistic exercise to be conducted here… It is a very complex exercise but it shows that we have the capability to operate effectively in such a complex environment." Commanding General of the US Fires Center of Excellence and Fort Sill Major-General Brian J. McKiernan also highlighted the value of XDW. He said, "XDW is a great training exercise for both the SAF and the US Army to train together and create new bonds of friendship while establishing a common understanding of each other's operational capabilities. Fort Sill is proud to host this annual exercise and cultivate the great relationship we share with our Singapore counterparts." As part of his visit, Mr Ong also observed an Apache AH-64D live firing mission with live tracking by the ARTHUR, and interacted with exercise participants. First conducted in 2010, this year's XDW is the sixth in the series. Training in the US provides an excellent opportunity for professional exchanges between the two armed forces, and has also helped to foster strong people-to-people ties. Such exercises underscore the excellent and long-standing defence relationship between Singapore and the US. The Philippine Navy (PN)’s third Hamilton-class cutter, which is now known as the BRP Andres Bonifacio (FF-17), is tentatively scheduled to sail home bound on November 1. (American time). 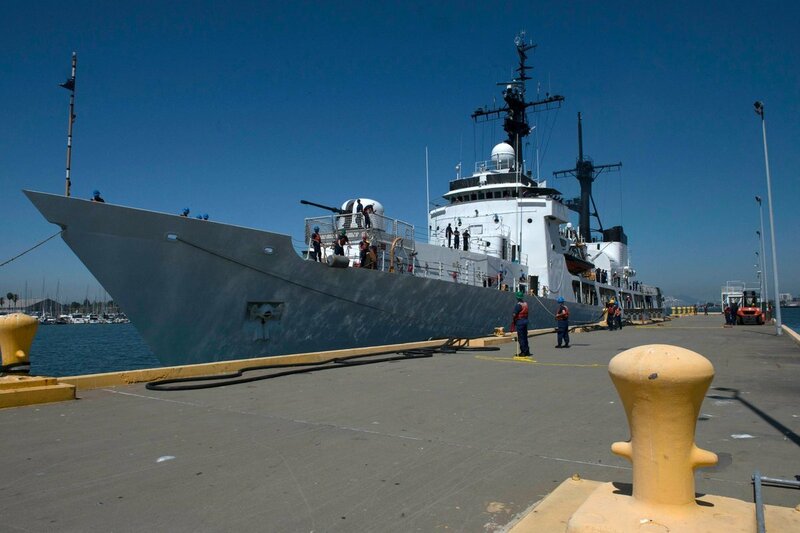 The ship and its Filipino crew is currently docked at the US Coast Guard Base in Alameda, California where they are undergoing on the various systems of the vessel. This include damage control, gunnery training and emergency drills and evolution. PN spokesperson Capt. Lued Lincuna said the BRP Andres Bonifacio has a crew of 80 officers and enlisted personnel. Lincuna said the ship is expected to be in the Philippines by second week of December. “She will pass by Hawaii and Guam for refueling and provisioning (before heading to the Philippines),” he added. The USCGC Boutwell was retired from US Coast Guard service last March 16 and handed to the PN last July 21 (American time). 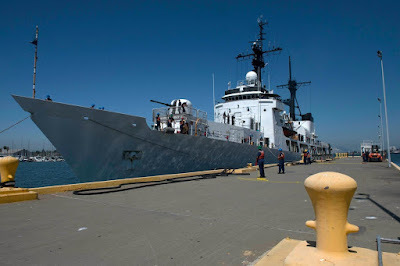 She will be the third Hamilton class cutter in PN service after the BRP Gregorio Del Pilar (FF-15) and BRP Ramon Alcaraz (FF-16) which were acquired in 2011 and 2013, respectively. 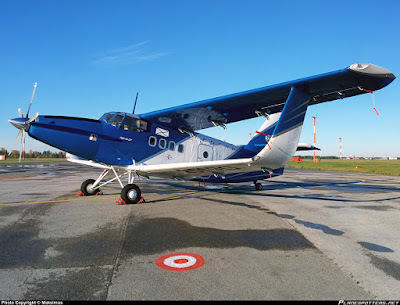 Vietnam is negotiating with the Siberian Research Institute of Aviation (SibNIA) to modernize the fleet of transport aircraft AN-2, comes to this country during the Soviet period. Aircraft will have new engines, trim and avionics that will transform the veterans of the Vietnam War in a completely modern machines. According to "Izvestia" in SibNIA, the exact timing of the start of work on the modernization of the Vietnamese "ANTONOV" is unknown, because the negotiations with Hanoi has not yet been completed, but we are talking about a very large party of several dozen cars. 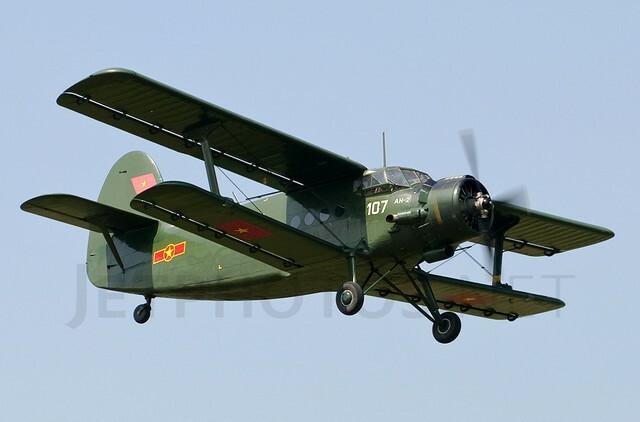 Vietnamese representatives, who arrived on the 75th anniversary of the Institute, expressed interest in cooperation on the modernization of the armament of their national Air Force AN-2, the park reaches 40 vehicles - told "Izvestia" CFO SibNIA Igor Shubin. - After that, they sent our respective business proposition. Now we consider the possibility to upgrade part of the aircraft on the Russian powers, in parallel to train the technical staff of the customer, and then deliver the units sets in Vietnam. According to the SibNIA, the aircraft will be modernized, including by replacing part of the aluminum cladding on the lighter composite, as well as the installation place of the old piston engine more powerful and compact turbo-prop. Miniature new engine has allowed designers to hide it in a more streamlined nose of that improve the aerodynamics of the aircraft. After all the improvements aircraft can fly at twice the distance than the old AN-2 - up to 3,000 km on one tank, as well as to develop more speed and take off from a shorter runway. At the same time the legendary "corncob" will be even more low-maintenance and low-cost operation. Saat Angkasa berkunjung ke salah satu hanggar helikopter di PT Dirgantara Indonesia (PT DI) terlihat belasan helikopter yang hampir selesai dirakit memenuhi hangar itu. 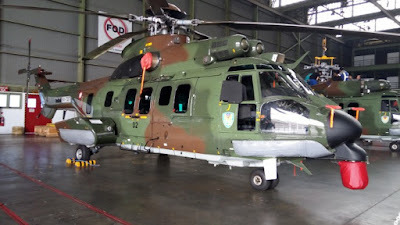 Di dalam hangar setidaknya terlihat enam AS532 Cougar, dua unit AS550 Fennec, dua AS365 N3+ Dauphin, dan dua unit AS332 Super Puma. Menurut Manajer Program Helikopter PT DI Hadi Prasongko, pihaknya memang tengah mengebut perakitan berbagai helikopter tersebut agar bisa diserah terimakan tahun ini. “Total ada 11 helikopter yang mau kita serahkan tahun ini kepada customer. Ini ada yang tinggal tunggu senjata, ada yang sudah siap, ada juga beberapa yang sedang dalam instalasi kelengkapan optional saja” ujarnya (28/10/2016). Masing-masing helikopter tersebut sudah bisa dideteksi siapa pemiliknya. AS532 Cougar akan diserahkan kepada TNI AU untuk selanjutnya dioperasikan di Skadron Udara 8 Lanud Atang Sendjaja Bogor, Jawa Barat. 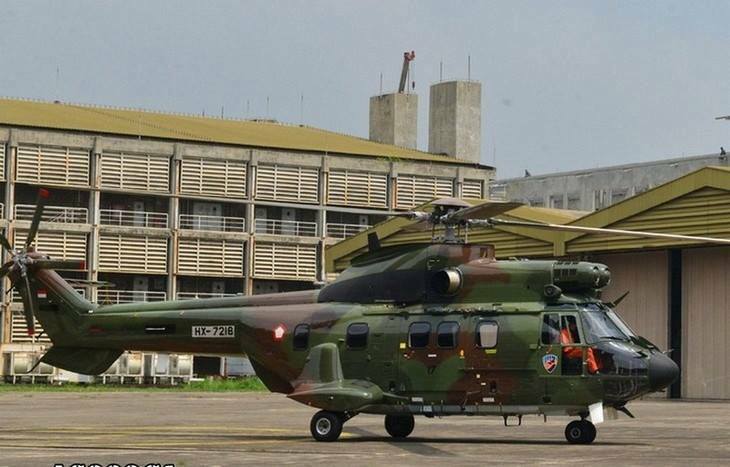 Sedangkan dua unit AS550 Fennec adalah pesanan dari Pusat Penerbangan TNI AD (Puspenerbad). Dua unit AS365 N3+ Dauphin dengan cat jingga khas Basarnas akan ditempatkan di Lanud Atang Sendjaja untuk keperluan SAR Basarnas. 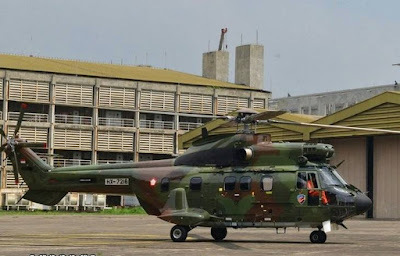 Satu dari dua unit Super Puma akan diserahkan tahun ini kepada TNI AU dan satu unit sisanya adalah pesanan sebuah maskapai carter asal Belgia. “Kita optimis delivery ini tepat waktu karena saat ini, terutama Dauphin dan Fennec tinggal tunggu kesiapan dari pemesan,” ujar Hadi. 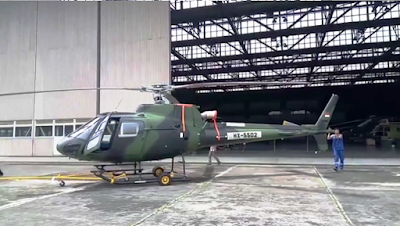 In line with its disaster response missions, the Philippine Air Force (PAF) announced that it is converting another of its W-3A “Sokol” combat utility helicopter, this time tail number 922, into a search-and-rescue (SAR) aircraft. 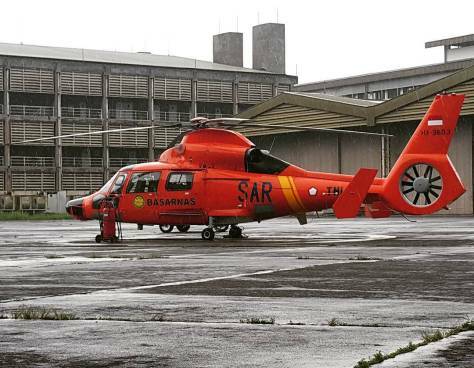 It has allocated PHP31,451,000 for the acquisition of spareparts and other materials needed for the SAR reconfiguration project. Bid submission and opening is on Nov. 8, 9 a.m. at the PAF Procurement Center Conference Room, Villamor Air Base, Pasay City. 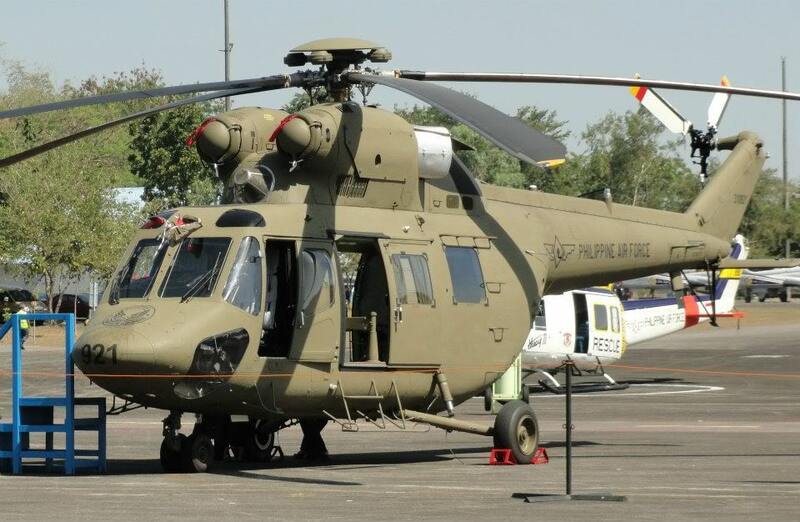 Earlier, the PAF said it will convert one of its seven W-3A “Sokol” helicopters, tail number 920, into a SAR platform. 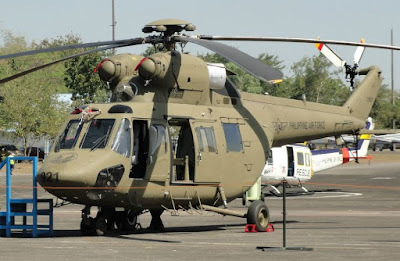 The PAF acquired eight units of the “Sokol” from Polish manufacturer PZL-Swidnik and British-Italian firm AugustaWestland for PHP2.8 billion in 2012. One of the aircrafts crashed in Lanao Del Sur in 2014 after sustaining an in-flight mechanical failure and is now undergoing repairs. Rheinmetall's comprehensive expertise here ranges from the development of new vehicles – like the new LYNX family unveiled at Eurosatory 2016 – to modernisation and combat improvement programmes. At Indo Defence 2016, Rheinmetall is showcasing a demonstrator of a 105mm medium battle tank. The vehicle is based on the combat-proven MARDER 1 chassis already fielded by the Indonesian Army, equipped with a modern HITFACT II turret from Leonardo (ex-Oto Melara). Rheinmetall is currently carrying out a combat performance upgrade of the LEOPARD 2 A4 main battle tank on behalf of the Indonesian Armed Forces. 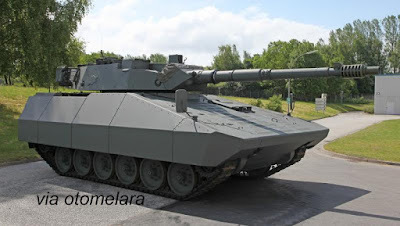 Depending on which of the two different versions of the tank – the LEOPARD 2A4+ or LEOPARD 2 RI (Republic of Indonesia) – the modernisation programme includes a climate control system (2A4+ and RI), improved ballistic protection, conversion from a hydraulic to an electric turret drive, an auxiliary power unit, and installation of a reversing camera (RI). In addition, Rheinmetall is also enhancing the 120mm smoothbore gun in the RI configuration with a programming kit that will enable it to fire Rheinmetall’s new programmable DM11 multipurpose round. Furthermore on show in Jakarta is the new network-capable Rheinmetall Oerlikon REVOLVER Gun Mk 2, which features AHEAD technology with programmable airburst ammunition. Rheinmetall is also presenting its battle management system and X-TAR3D radar. As mentioned above, Rheinmetall is showcasing a demonstrator of a 105mm medium battle tank based on a modified MARDER 1 chassis. 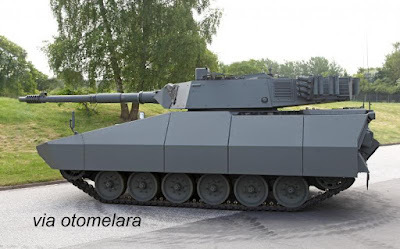 While the demonstrator is equipped with the 105mm HITFACT I turret, the new MARDER Medium Tank RI (Republic of Indonesia) offered to the Indonesian Armed Forces (TNI) features a new Leonardo HITFACT II turret, with a 105mm/L52 gun as main armament. Both the MARDER 1 chassis and the HITFACT II turret are proven, previously fielded, well-supported subsystems. The new MARDER Medium Tank RI will be equipped with an electrically stabilised three-man turret which can fire any standard NATO 105mm round. The commander and gunner each have their own independent day and night sighting systems with laser rangefinders, providing a hunter/killer capability for the crew. The commander and gunner are both able to operate the main and secondary armament, which can be reloaded from the safety of the fighting compartment. Due to its high mobility the MARDER Medium Tank RI can be deployed together with the LEOPARD 2 main battle tank or in support of other armoured fighting vehicles. Thanks to its lighter weight, it provides the tactical versatility vital for dominating current and future battlefields and other scenarios, e.g. urban warfare. In 2012, the Ministry of Defence in Jakarta contracted with Rheinmetall to supply the Indonesian Army with tracked armoured vehicles, logistical support and ammunition. 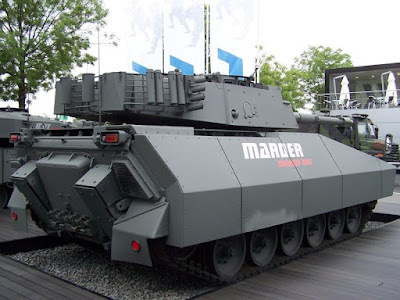 Besides 103 Leopard 2 MBTs, Rheinmetall is supplying Indonesia with 42 upgraded MARDER 1A3 infantry fighting vehicles, 11 armoured recovery and combat engineering vehicles, together with the accompanying documentation, training resources and logistical services. The order also encompasses an initial supply of practice and service ammunition. The article «More Details of VT4 MBT in Thailand», published in the September issue of the journal «Kanwa Asian Defence», reported with reference to the publication source in the defense industry of Thailand, Thailand and China in April 2016 signed a contract for the purchase of the party tanks VT4 production by NORINCO Group. The first batch will consist of 28 tanks, the first delivery was scheduled for September 2016. 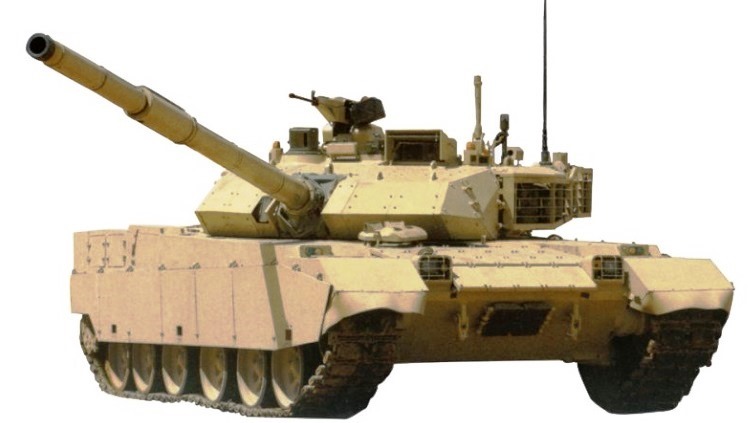 The price of one tank was $ 5.3 million (against 4.8 million for the Ukrainian MBT "Oplot-T"). Earlier, the Thai army has purchased 49 BM Ukrainian tanks, "Oplot-T", but only 10 tanks were received within three years from the manufacturer, which was caused by the fighting in the east of Ukraine, which affected the manufacturer. The publication became known that the batteries for the "Oplot" made in Lugansk, and their manufacturing plant was damaged in the fighting. In addition, the financial position of the engine manufacturer 6TD-2 is also not brilliant. These "bulwark" factors could affect the delivery schedule. According to the publication, a source from the company "Ukrspetsexport", all the difficulties with supplies were temporary and were gradually overcome, especially associated with the assembly of the tanks on the SE "Malyshev Plant. " 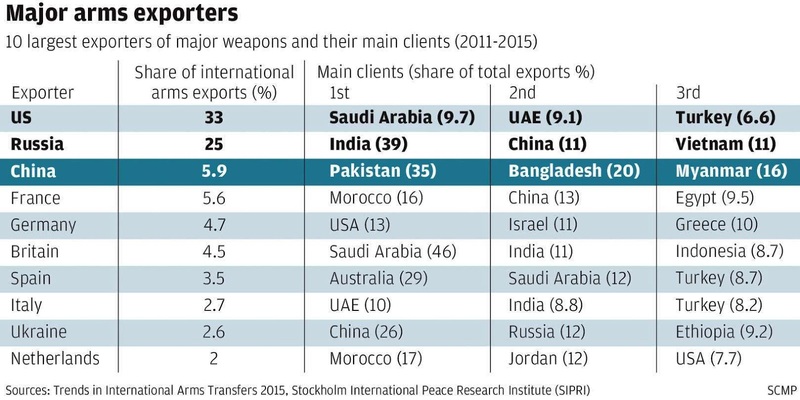 Therefore, Ukraine continues to fight for the Pakistani order against VT4. 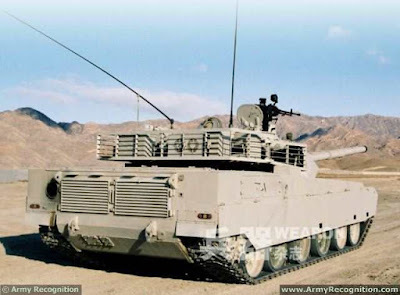 NORINCO, in turn, plans to hold a series of tests VT4 in Pakistan, in the desert, and dusty. Thai authorities openly declared the cancellation of the contract with Ukraine. However, Kanwa opinion, the first batch of 28 tanks VT4 will serve as the replacement tank, not supplied by the Ukrainian side. Therefore, part of the funds originally intended for the "bulwark", could be redistributed in favor of Chinese tanks. 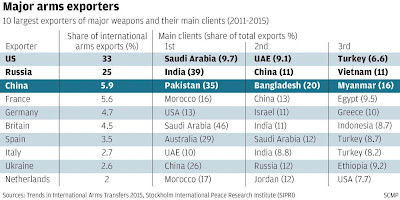 As long as the practice of exploiting VT4 in Pakistan show their bad characteristics or face the problems of delivery, "Oplot" prospects in Thailand did not look very optimistic. According to the source, the first 28 VT4 will be used for pilot operation, if it proves successful, it will be followed by the purchase of the second batch. In addition, according to the source, Thailand wants to get technology VT4 and start their production in Thailand, but the list of interested technology was not called. 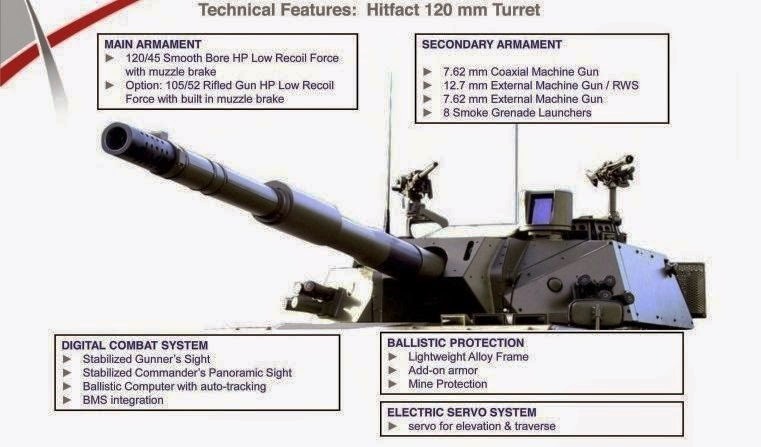 It is possible that can be transferred to production technology and 125-mm tank ammunition. It remains unclear whether or not produced in Thailand and tracks for these tanks. Their release for the Thai company Chaiseri carries MVT2000. MVT2000 stand on the armies of Bangladesh, Myanmar and Morocco. 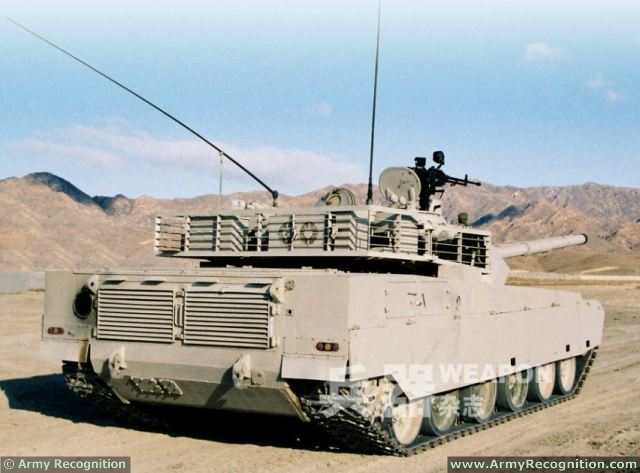 The company also switched to Chinese shoe armored vehicles, are operated in the Thai army. Kanwa it became known that on VT4 will be installed engine capacity 1300-1500 hp .. and number of tank technology used in the Chinese tank type of 99G. The tank 99G type installed diesel power of 1500 hp, and on VT4 power is likely to be reduced to 1300 hp. Mr Pyne said the first tranche of Night Fighting Equipment will see our military supplied with new state of the art night vision goggles, helmet mounts, head harnesses and laser aiming devices. Contracts worth $307 million were signed with L-3 Oceania, which included the equipment and ongoing support. 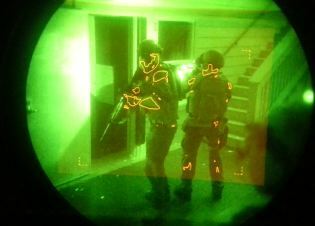 “These night vision goggles will be provided to Army close combatants, such as Special Forces and Infantry, as well as general combatants, such as drivers, medics and elements of the Royal Australian Navy and Royal Australian Air Force,” Minister Pyne said. “These high tech goggles are leading edge and will give our fighting men and women greater capability in the field. 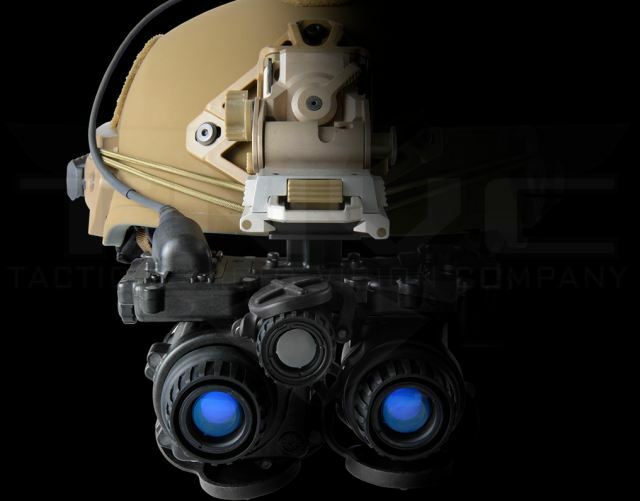 While Australia doesn’t produce this standard of night vision goggle, they will be maintained locally, again illustrating the Turnbull Government’s commitment to ensure our Defence Force has the best technology while using our defence dollar, where possible, to drive local jobs and economic growth,” he said. Minister Payne said experience over the last decade has highlighted the importance of night vision technology in modern warfare. “Deployments to Afghanistan and Iraq have proven the importance of being able to effectively fight at night,” Minister Payne said. “The new equipment will ensure the ADF retains its night fighting edge against the enemy, a critical advantage on the battlefield,” she said. Jakarta (ANTARA News) - Kepastian Sukhoi Su-35 akan hadir di hanggar TNI AU menggantikan F-5E/F Tiger II masih belum terjadi. Laman rbth.indonesia, Jumat, menyatakan, negosiasi harga dan transfer teknologi bisa menjadi faktor penghalang keputusan pembelian pesawat tempur Sukhoi Su-35. Gelaran industri pertahanan Indo Defence 2016 akan menjadi arena baru penawaran pesawat tempur pengganti F-5E/F Tiger II dari Skuadron Udara 14 TNI AU. Kompetisi antara JAS-39 Gripen dari Saab (Swedia), Eurofighter Typhoon (Airbus Military), dan Sukhoi Su-35 (Rosoboronexport, Rusia), akan dibuka kembali. Semula gencar disebut-sebut bahwa Sukhoi Su-35 akan menjadi pengganti F-5E/F Tiger II itu dan kepastian kontrak pembelian akan dilaksanakan pada paruh kedua 2016 ini. Namun, harga yang ditawarkan dan skema serta jenis transfer teknologi yang diberikan Rusia untuk membangun bersama pesawat tempur itu di Indonesia menjadi hal yang masih mengganjal. Karena itulah Indonesia kemudian mengundang dua kontestan lain untuk mengirim proposal resmi mereka dalam program penggantian F-5E/F Tiger II ini. Laman www.defenseworld.net, Selasa (27/10), melaporkan, pemerintah Indonesia saat ini menegaskan hanya membeli benda dan peralatan perang dari luar negeri jika ada transfer teknologi dan produksi bersama. 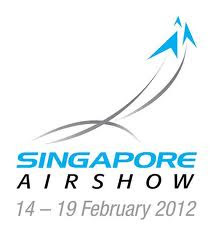 Sumber Rusia yang dikutip pada Singapore Air Show 2016 lalu, menyatakan, jumlah unit Sukhoi Su-35 yang akan dibeli Indonesia masih sangat sedikit untuk memungkinkan mereka memberi kedua hal itu, yaitu transfer teknologi dan produksi bersama. Indonesia berencana membeli hanya delapan atau paling banyak 12 unit Sukhoi Su-35. Dibandingkan dengan pesaingnya, Saab pada Indo Defence 2016 kali ini akan membawa simulator JAS39 Gripen ke Jakarta. Direktur kampanye JAS39 Gripen, Magnus Hagman, menyatakan, biaya operasional JAS39 Gripen hanya 4.700 dolar Amerika Serikat alias hanya 10 persen ketimbang biaya operasional Sukhoi Su-35. Faktor pembiayaan pasca pembelian (perawatan dan operasional) sangat krusial untuk jangka menengah dan panjang. Pula pada pola dan prioritas operasionalisasi pesawat tempur. Sejak tahun lalu, Saab telah menegaskan komitmen mereka untuk memberi transfer teknologi kepada Indonesia dalam skala yang menguntungkan kedua belah pihak. Brazil telah menempuh cara ini, seiring kontrak pasti pembelian 36 unit JAS39 Gripen NG, yang hanggar produksinya telah dibangun di Brazil. Selain tawaran transfer teknologi, Saab juga menawarkan produksi bersama JAS39 Gripen dan pelatihan bagi ahli aeronautika Indonesia dalam mengintegrasikan sistem-sistem dalam pesawat tempur. Hal ini diharapkan dapat berperan besar dalam program pembuatan pesawat terbang tempur buatan Indonesia, IFX. Walau berukuran paling mungil dan bermesin tunggal —Sukhoi Su-35 dan Eurofighter Typhoon berukuran besar dan bermesin ganda— JAS39 Gripen sudah diintegrasikan dengan peluru kendali udara ke permukaan RBS 15 untuk menghajar target di darat dan permukaan laut. Ditambah dengan radar AESA maka daya gentar dan kemampuannya diyakini semakin meningkat. 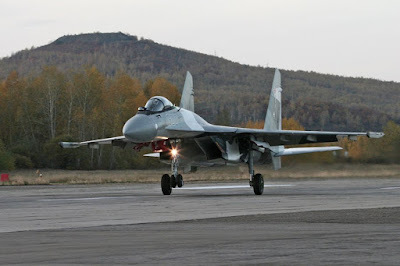 Sukhoi Su-35 mengembangkan radar pasif, PESA. 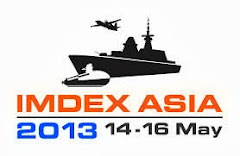 State-owned land system and weapons maker PT Pindad is set to launch a new Indonesian-made weapon system that combines the capabilities of a tank and ship, dubbed the "Tank Boat", at the Indo Defense Expo in Jakarta on Nov. 2 to 5. The Defense Ministry's technology and defense industry director, Brig. Gen. Jan Pieter Ate, said the Tank Boat was a premier technology in the world today where it combined the land capabilities of a tank, as well as maneuverability in water as that of a ship. "So it integrates combined combat maneuverability, and this is the first technology [of its kind] in the world. This is a product of Indonesia," Jan Pieter said on Wednesday, as quoted by kompas.com. The Tank Boat was 18 meters in length and required 12 people to operate, he further said. It could be used for beach-side military operations as it also could camouflage itself among the mangroves, he said, adding that the Tank Boat was also able to maneuver in water to a depth of 90 meters. Jan Pieter said such a weapon system would be beneficial in archipelagic countries, such as Indonesia. He conveyed that the government hoped to reduce dependency on imports, and as such continue its efforts to develop the domestic defense industry. He further noted that utilizing domestic products would reduce state budget expenses, without compromising quality. "The government wants to be less dependent on products from abroad, and that the domestic industry fulfills [the country’s] defense needs. We’ll continue efforts to develop the domestic industry," he said. 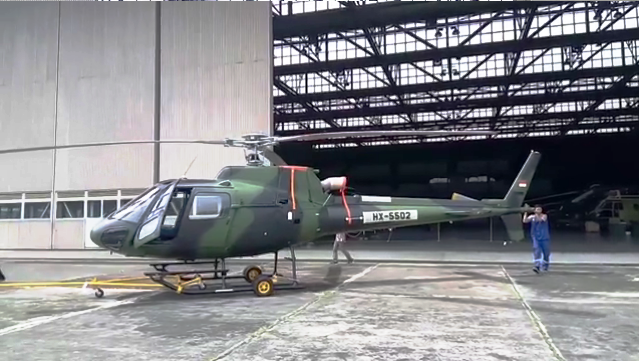 The Fleet Air Arm Museum in Nowra, New South Wales, has a new exhibit, with the arrival of ‘862,’ an AS350BA Squirrel helicopter from 723 Squadron. Aircraft 862 was the not only the first of the original six Navy Squirrels to embark long term, thirty years later she was the last. In August 2015, following her final deployment onboard HMAS Anzac during the Centenary of Anzac celebrations at Gallipoli, 862 retired from service. Joining over 30 aircraft and numerous aviation artefacts, 862 has a new role as an exhibit helping to tell the story of the Navy's Fleet Air Arm at the Museum, just outside the gates of HMAS Albatross. From service with 723 Squadron, 862 was assigned to Raytheon Australia who demilitarised the aircraft as part of the decommissioning process, and prepared for her for display. Mr Terence Hetherington, Manager of the Museum, was closely involved with the process of taking 862 from an operational asset to a curated exhibit. “Aircraft 862 is a magnificent example of a capability that provided training opportunities, and developed the operational proficiency, serving the Fleet Air Arm for over thirty years, including during Gulf War,” Mr Hetherington said. 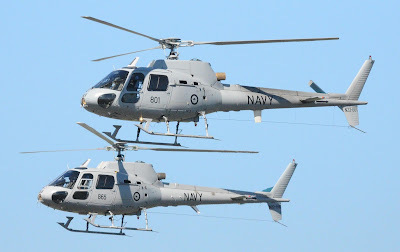 The French-built Aerospatiale Squirrel joined the Fleet Air Arm in the early 1980s to replace the Bell UH-1B Iroquois helicopter in aircrew training and light utility roles. 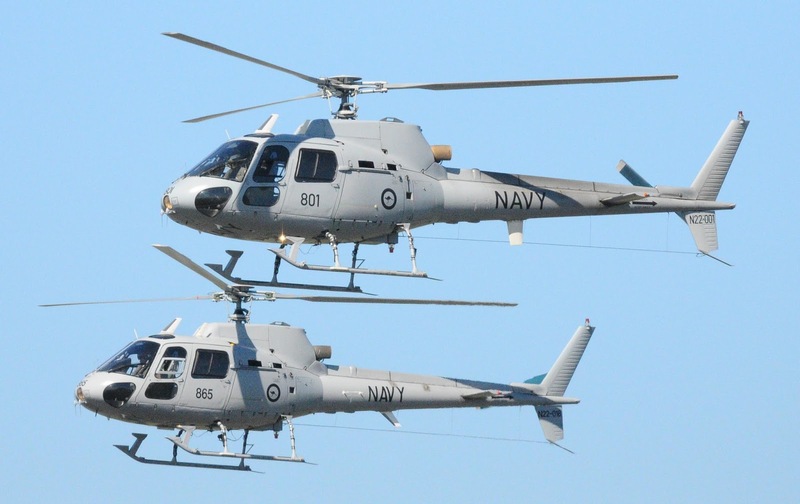 Through deployments and exercises, and opportunities for aircrew and flight deck teams to consolidate their training, the Squirrels have provided a long term capability protecting Australia’s interests and assets. As part of 723 Squadron, 862 was the first Squirrel to embark long term on an Adelaide class guided missile frigate in early 1985. She then served in HMAS Canberra II during the 1987 Fiji Coup and in HMAS Adelaide II during and after Gulf War I in the 1990s. 862 was one of four Squirrels that served on Australian Navy ships during the 1991 Gulf War. The aircraft, fitted with updated avionics and a door mounted machine gun (MAG58), were used for shipping surveillance, assistance in merchant ship boardings, mine searches and light logistics support. 723 Squadron continues to operate former Air Force and Army Squirrels at Albatross, in training and utility roles. PANO – The Ministry of National Defense on October 25 held a ceremony to establish the Vietnam Hydrographic Committee, in the presence of Lieutenant General Phan Van Giang, Deputy Defense Minister and Chief of the General Staff of the Vietnam People’s Army. The committee has been established one year after Vietnam became the 84th member of the International Hydrographic Organization (IHO), marking a milestone in the national strategy for defense, maritime economic development, and international integration. The distribution of sea charts and electronic sea charts under the IHO standards will contribute to reaffirming, managing and safeguarding Vietnam’s national sovereignty and jurisdiction rights over seas and islands. The committee will serve as an agency responsible for hydrographic survey and sea mapping, distributing maritime, oceanographic, hydrological publications, performing hydraulic functions while assessing and providing hydraulic surveys to assist the law enforcement at sea and protection of maritime sovereignty. Addressing the ceremony, General Giang urged the Vietnam hydrographic sector to further expand cooperation with other countries to upgrade Vietnamese sea charts up to international standards, regularly update information of the seas, oceans and navigable waters in the world in order to affirm Vietnam’s sovereignty over the seas and islands in the East Sea (South China Sea). Indonesia has ordered two additional Airbus C295 aircraft, adding to nine already delivered. The new aircraft will be configured for maritime patrol. The air force uses the earlier C295s as transports. The national police will operate one of the new C295s as its only fixed-wing aircraft ,while the air force will operate the other, says Iwan Krisnanto, the head of Indonesian Aerospace’s design center. 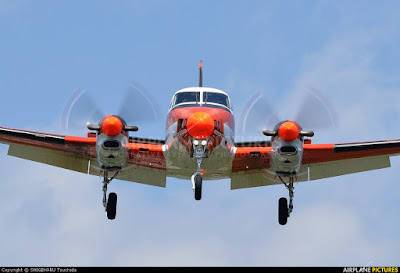 Indonesia designates the type as the CN-295. Indonesian Aerospace ordered the aircraft on behalf of the government, as it did for the previous nine. Krisnanto, in a written response to Aviation Week’s questions, declined to specify the type of mission system to be installed on the new aircraft. Indonesian Aerospace has opted for the Merlin system of U.S. company Integrated Surveillance & Defense Inc. on three CN-235 maritime patrol aircraft (MPA), two of which are operated by the navy. 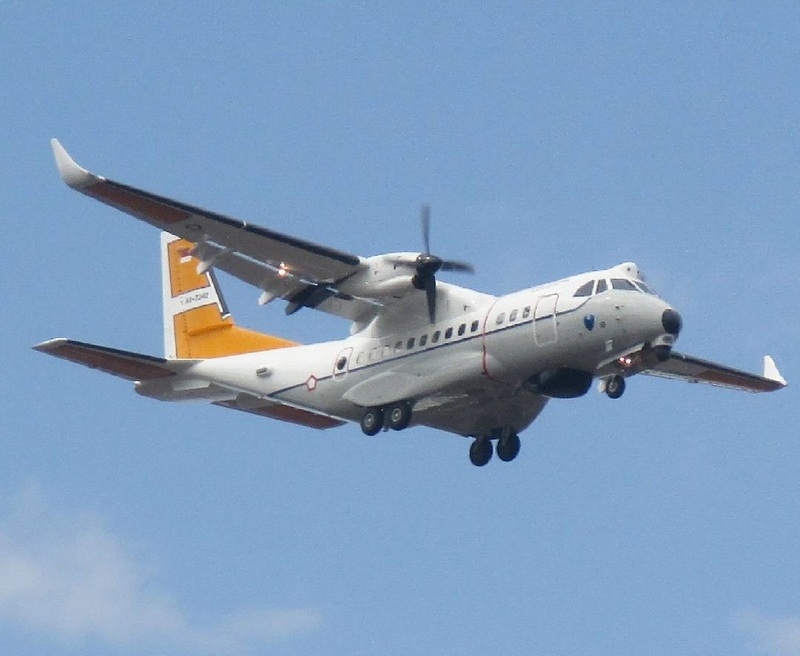 The third CN-235 MPA, destined for the air force, is expected to be delivered by year-end, Krisnanto says. The C295 is based on the CN-235. The main features of the Merlin MPA system are an electronic surveillance system, electro-optical turret and a Telephonics search radar. 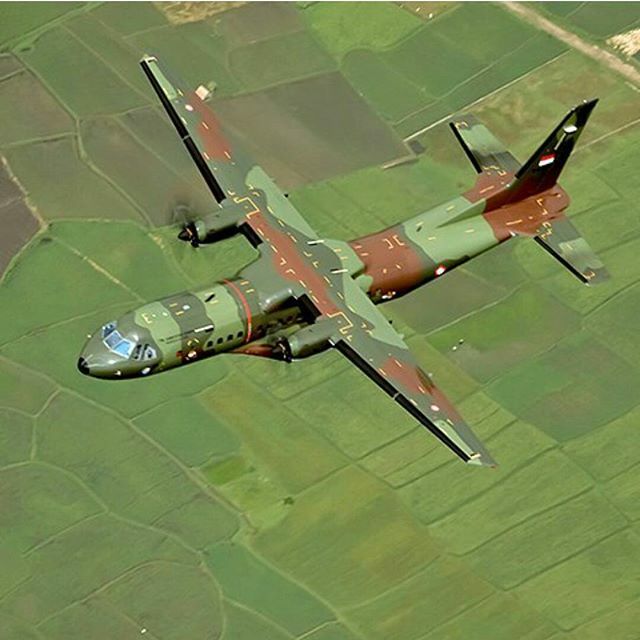 Krisnanto says the nine C295s ordered in 2012 have been delivered to the air force, with the last one in December 2015. 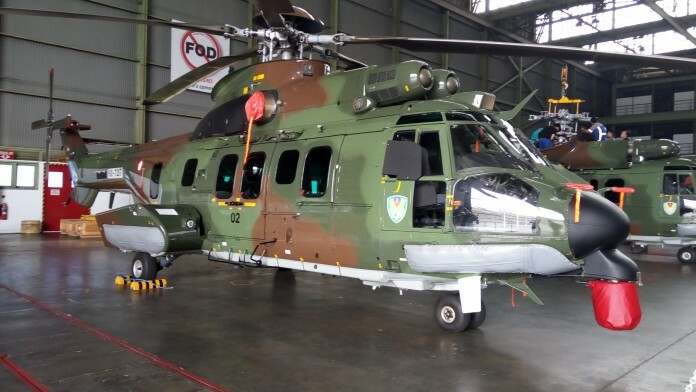 Two were fully manufactured by Airbus, five were outfitted by Indonesian Aerospace at its facilities in Bandung, and the remaining two were assembled and flight tested by the local company. As part of the $325 million contract, a service and delivery center and a final assembly line was set up in Bandung. Two of the five TC-90 trainer jets leased from Japan are due to arrive in the first quarter of 2017, Defense Undersecretary Raymundo Elefante said on Thursday. In a news conference, Elefante said the planes could be expected by March or April 2017 depending on the training of the Philippine Navy pilots who would start training in Japan in November. "Magte-train pa yung piloto natin, so around first quarter of next year yung eroplano, yung dalawa tapos susunod na yung tatlo," he said. Two Navy pilots will travel to Japan to receive free training from their counterparts. "After the two will be another four siguro, kasi [they] will be the instructor pilots," Elefante said. Meanwhile, Elefante said the Navy planned to use the aircraft for maritime patrols, including the West Philippine Sea, aside from training pilots. Asked if the TC-90 had surveillance capabilities, Elefante said the aircraft was "bare" as the Japan Maritime Self-Defense Force removed its equipment from the trainer jets. "Bare yun as in, dahil tinangal nila yung [equipment] dahil kanila yun... tayo naman on our part ie-equip din natin yan ng mga pang-surveillance," he said. 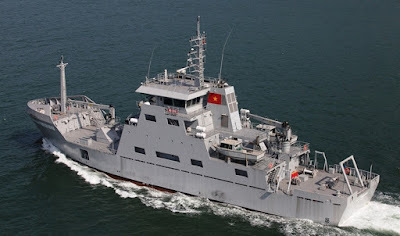 The lease of the TC-90 training aircraft was among the agreements signed by the Philippines with Japan for its acquisition of patrol vessels and other equipment for the Philippine Coast Guard. Elefante said all of the planes will be based at Sangley Point in Cavite, adding no delivery date is set yet for the remaining three. The air-launched version of BrahMos missile will be tested in February, said Raja Singh Thangadurai, Deputy Programme Director, BrahMos, Defence Research and Laboratory, (DRDL), Hyderabad. Hindustan Aeronautics Ltd (HAL) had carried out modification of the fighter aircraft to carry the BrahMos supersonic cruise missile. 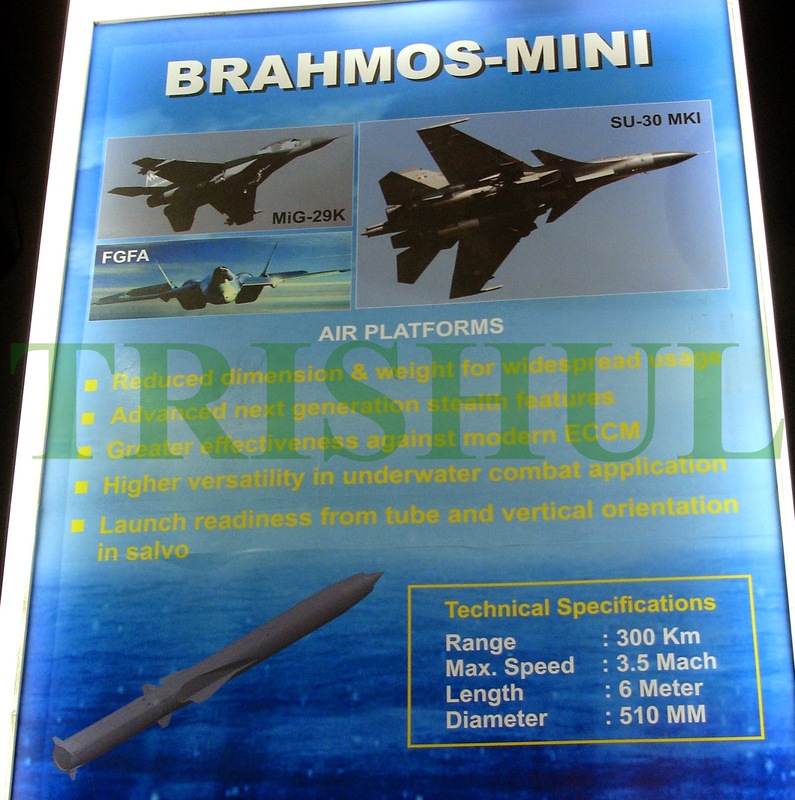 Work had been taken up with the Sukhoi design bureau, HAL and the IAF for interface requirements and installation of BrahMos on Su-30 MKI fighter. The final stage preparation and fine-tuning of the air launch weapon system was in progress, he said. 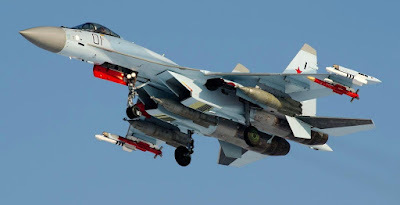 Stating that the launcher modification had already been completed, Mr. Thangadurai said that dummy trial with instrumented drop from the SU-30 aircraft was carried out at Pokhran in Rajasthan a few weeks ago. The performance and the results were successful and highly encouraging. However, two more dummy drop trials would be carried out before launching the actual test. The dummy trials would be conducted in the weeks to come, Mr. Thangadurai said. He added that the Centre had given clearance for identifying markets for the missiles. Chile and Indonesia had shown interest. Modalities were being worked out for marketing the missiles, he said. 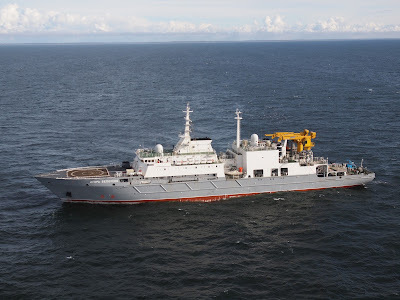 Vietnam needed a Russian "Dolphin"
Vietnam Ministry of Defense intends to order the newest Russian search-and-rescue ship Project 21300S "Dolphin", the interest of which previously also expressed was India. 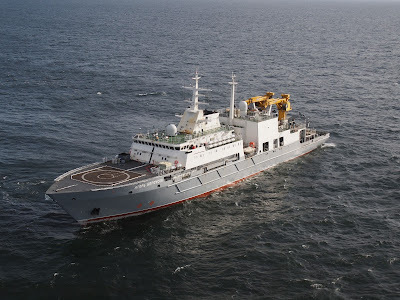 Experts believe that Hanoi are interested in not only saving, but also the possibility of Russian hydrographic ships, which will help Vietnam get further justification of his rights to the disputed islands in the South China Sea. In early October, the Vietnamese military asked the Russian side to provide data on prices and complete the Project 21300S ships. "Izvestia" said an informed military-diplomatic source. According to him, at present, domestic military experts are preparing an offer. A letter was sent to the Vietnamese side at the beginning of the month - said the source publication. - It contains a request regarding a possible transaction price, as well as complete vehicles. As expected, after the transmission of the response and its study of the Vietnamese party will begin formal negotiations. 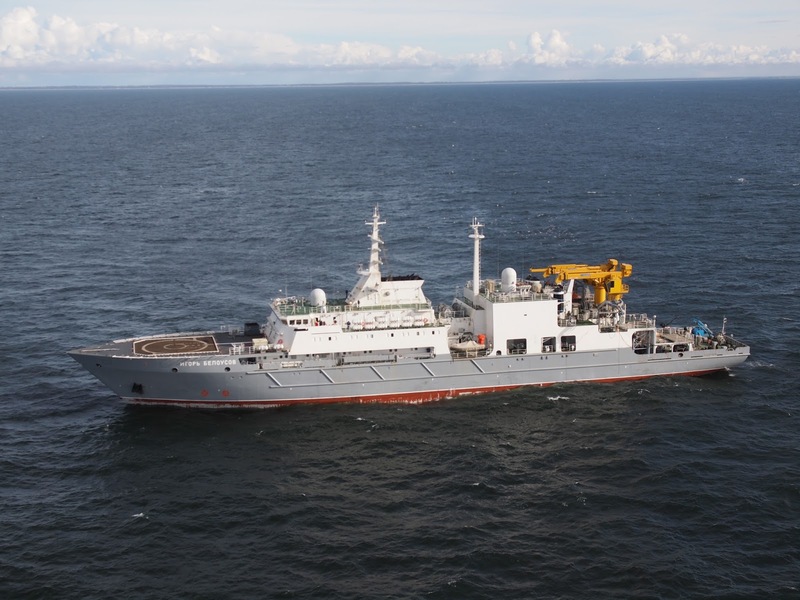 According to the source, Vietnam initially cautious about the idea of ​​buying an ocean rescue ship, citing the high cost of hundreds of millions of dollars. But then Hanoi reconsidered its position. The Ministry of Defence of Vietnam, as well as the Federal Service for Military-Technical Cooperation, "Izvestia" is not able to provide you with comments. The first ship of the project 21300S "Igor Belousov" was commissioned in 2015, and this year he went to a permanent place of service in the Pacific Fleet. Along the way, he made some kind of a promotional tour, including paid visits to the ports of India and Vietnam. The two countries are actively cooperating with Russia in the military sphere - in particular, the purchase submarines. Back in August, it became known on the Delhi to the ships of this class interest, and now followed the example of the Indian Navy in Vietnam. Amid a proliferation of submarines in the Asia-Pacific region, the Philippines appears to have positioned the two frigates on order from South Korea as the country's primary anti-submarine warfare (ASW) platforms, new details released about the ships suggest. South Korean shipbuilder Hyundai Heavy Industries (HHI) unveiled the details in a press release on the occasion of the programme's contract signing on 24 October. The platforms, which have been described by HHI as inheriting the main design features of the Republic of Korea Navy's (RoKN's) Incheon-class guided-missile frigates, will have an overall length of 107 m and a standard displacement of about 2,600 tonnes. A computer-generated image released by the company indicates that the platforms will feature two triple torpedo tubes, each located on the port and starboard sides. Also pictured on the flight deck, which can take aircraft of up to 12 tonnes, is what appears to be an AW159 helicopter. The Philippine government has selected the AW159 to fulfil its ASW helicopter requirement, IHS Jane's reported in March 2016. The Philippine Navy (PN) is not known to have any other substantial submarine prosecution capabilities before this acquisition. Other weapon systems depicted in the image include an eight-cell vertical launching system installed at the forward section, just behind its primary weapon, which will most likely be a 76 mm naval gun, and four (two twin) anti-surface missile launchers mounted athwartships. 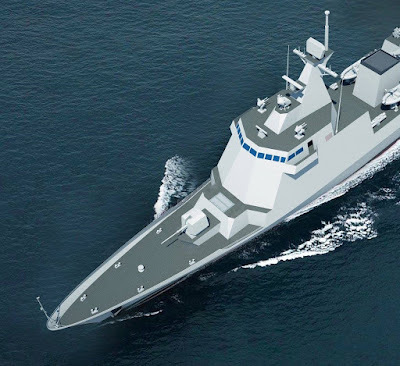 It also seems that the frigates will be equipped with a pair of MBDA-SIMBAD anti-air defence system turrets above the bridge, one each to the left and right of its fire-control radar pedestal. The platforms are scheduled to be delivered to the PN from 2020, said HHI. 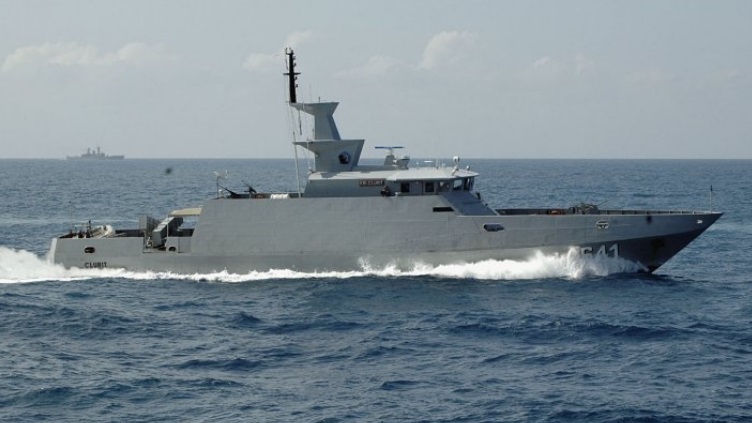 Vietnam will Buy SeaRAM for Molniya Corvettes ?